Before the city built Central Park, the area from West 82nd to West 89th Street was home to Seneca Village, the largest community of African-American property owners in New York. 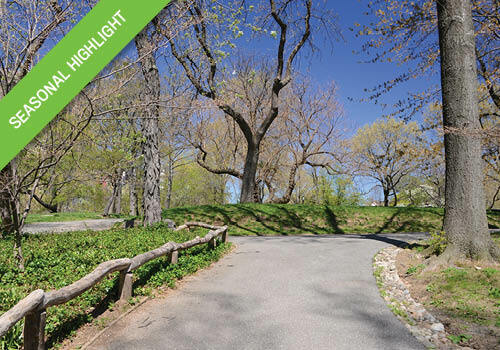 Join Conservancy guides on this newly enhanced tour of the Seneca Village site and discover more about its history, the lives of its residents, and what recent archaeological discoveries reveal about this remarkable community and its place in 19th-century New York. Tour highlights include the former sites of the Village’s three churches, a natural spring that was a primary water source for residents, and the site of the original reservoir, which stood in what is today one of the Park’s most popular landscapes. For weather cancellation and other ticket policies, please review our Frequently Asked Questions (FAQ).